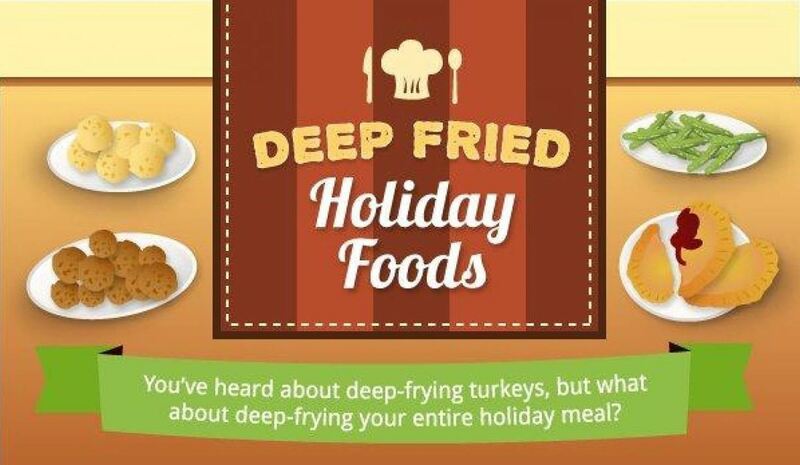 An entire deep-fried Thanksgiving meal. We've already got you covered when it comes to deep-frying the bird, but if you want to get some extra use out of your fryer this year, here's how to deep-fry your whole dinner. 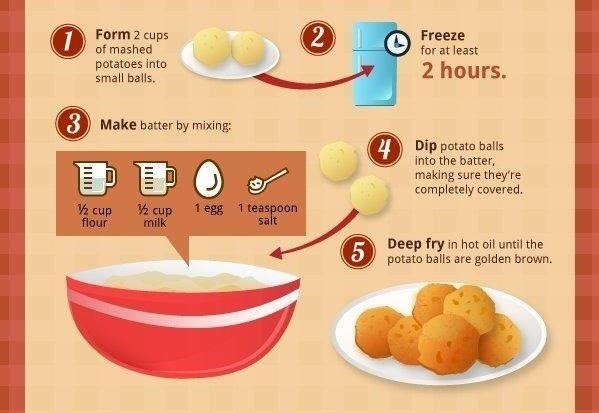 Mix up a batch of mashed potatoes using your favorite recipe, coat them in batter, and fry til they're golden brown. Ingredients: 2 cups mashed potatoes, ½ cup flour, ½ cup milk, 1 egg, and 1 tsp. salt. If you're not a fan of canned cranberry sauce, this is a great way to dress it up a little and get picky eaters to dig in. While the batter rests, preheat your deep-fryer to 375 degrees. Ingredients: 13-oz. 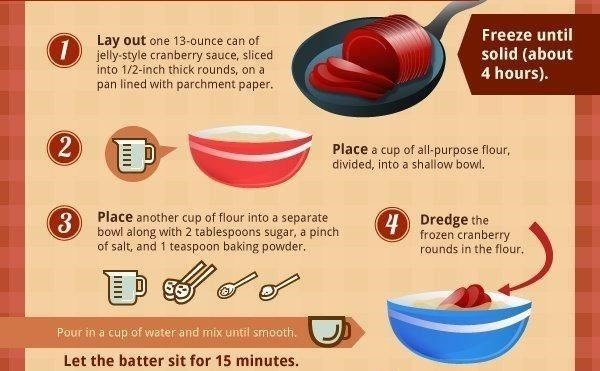 can cranberry sauce, 2 cups all-purpose flour (divided), 2 Tbs. sugar, 1 tsp. baking powder, and a pinch of salt. 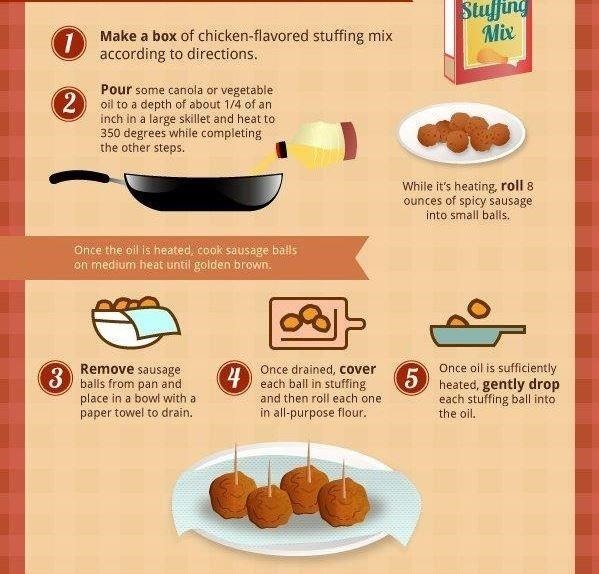 You can make this super easy by using pre-made stuffing mix, or make it from scratch using your family's recipe if you want. Just make sure the sausage is done before you coat it in the stuffing—you don't want to burn the outsides trying to cook the meat. Ingredients: 1 box stuffing mix, canola or vegetable oil, and 8-oz. spicy sausage. Have kids in the family who refuse to eat vegetables? 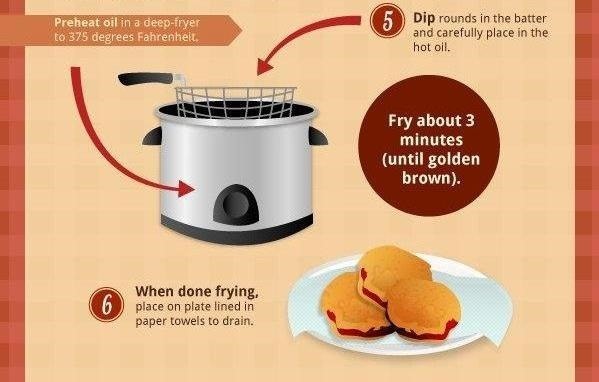 Deep-frying them might fix the problem. 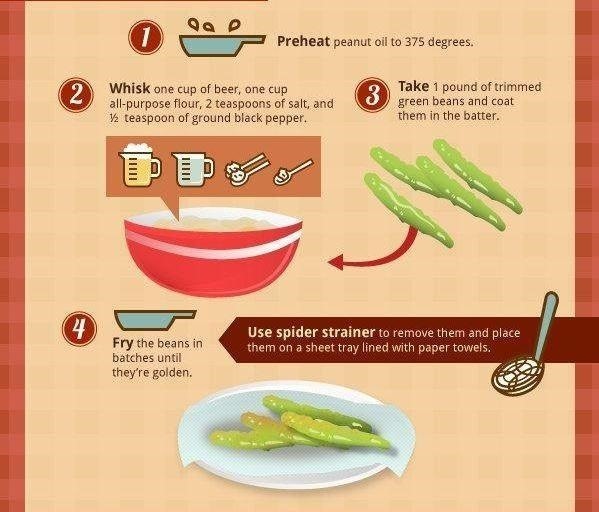 These are great on their own, but they'd make a great garnish or topping for a traditional green bean casserole too. Ingredients: Peanut oil, 1 cup beer, 1 cup all-purpose flour, 2 tsp. salt, ½ tsp. ground black pepper, and 1 pound trimmed green beans. Apple pie is delicious the way it is, so deep-frying it can only make it better. The recipe says to mash up the apples, but you can leave them alone if you prefer chunkier pie filling. The instructions say to use a 4-inch circle cookie cutter, but you can use whatever size you have. 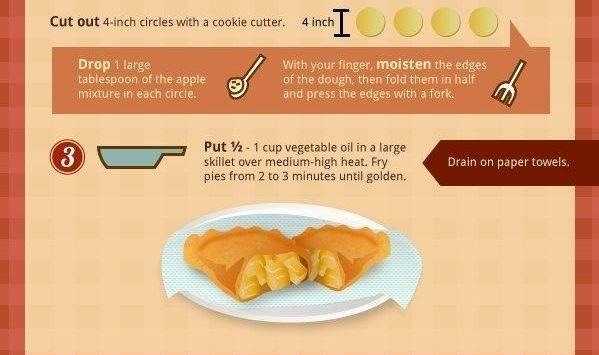 Just make sure to adjust the amount of filling if you make them larger or smaller. 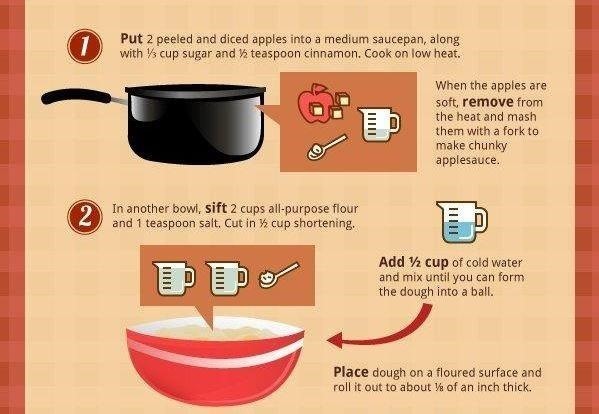 Ingredients: 2 apples (peeled and diced), 1/3 cup sugar, ½ tsp. cinnamon, 2 cups all-purpose flour (sifted), 1 tsp. salt, ½ cup shortening, ½ cup cold water, and 1 cup vegetable oil. Ganache is a type of icing that looks fancy and sounds intimidating, but it's really easy to make. These deep-fried chocolate truffles take some prep, but they're sure to impress. Make sure to divide your breadcrumbs so you don't cross-contaminate with the eggs. 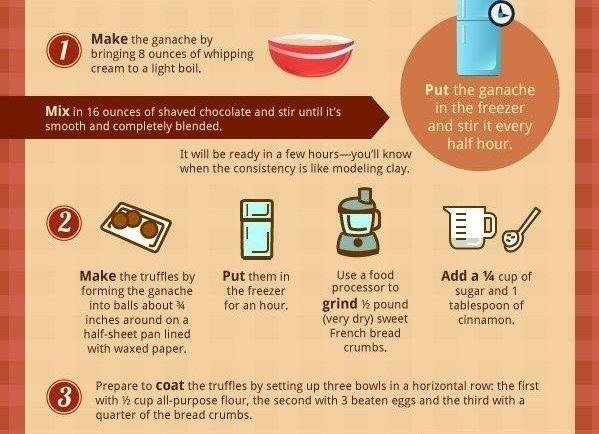 You'll be putting three coats of breading on the truffles, so change out the breadcrumbs between each one. Ingredients: 8-oz. whipping cream, 1 lb. shaved chocolate, ½ lb. dry French breadcrumbs, ¼ cup sugar, 1 Tbs. cinnamon, ½ cup all-purpose flour, and 3 eggs (beaten). Now all you need is the gravy (and the turkey, of course) and you're all set to enjoy your deliciously unhealthy feast. 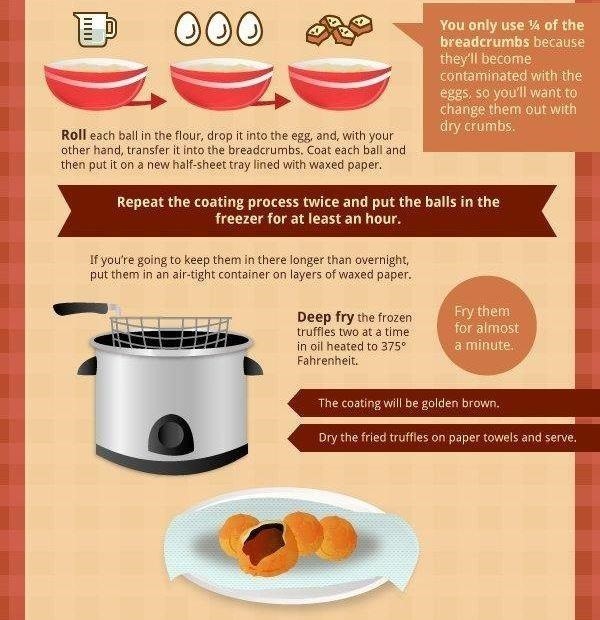 See the full infographic from Today Food on Visual.ly.